As regular readers of this weblog will know, one of my research interests besides comics is street art, and stencil graffiti in particular. Now my first journal article in this field has been published. 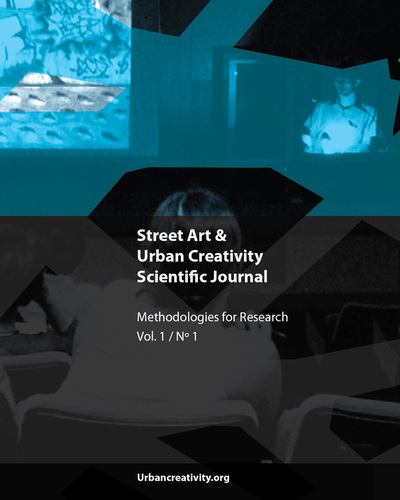 It is titled “Towards the scholarly documentation of street art” and is contained in the first issue of Street Art & Urban Creativity, a new Open Access journal. You can get the PDF of the issue at http://www.urbancreativity.org/uploads/1/0/7/2/10727553/journal2015_v1_n1_web_final.pdf (my article is on pp. 40-49). It is generally acknowledged that street art is a particularly ephemeral art. For instance, graffiti are usually actively removed, thus existing for sometimes only a few days. Otherwise, they deteriorate gradually due to the effects of the weather, or are eventually ‘crossed’ by other graffiti, so that they are visible for a few years at best. 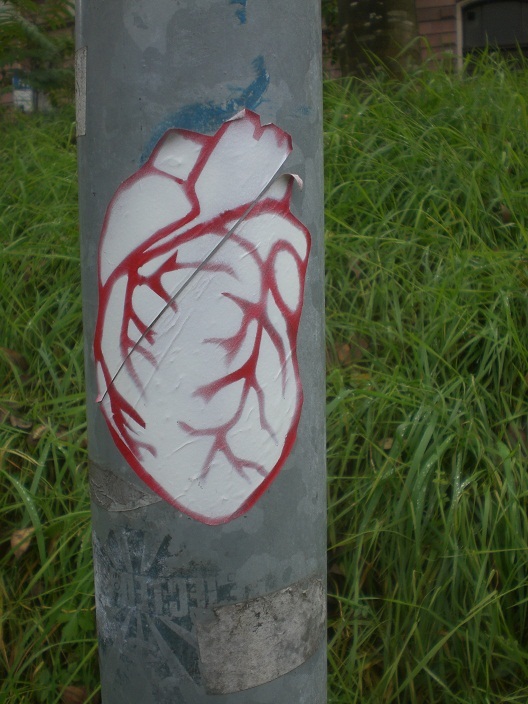 Therefore, the documentation of street art should be of paramount importance to researchers. In fact, a lot of photography is being carried out ostensibly to document street art, for both image databases on the Internet as well as printed books and magazines. However, for the most part, this kind of street art photography is not done by (or for) scholars but rather by (and for) the general public. In any case, this practice usually does not fulfill even the lowest scholarly standards of documentation. One can be considered lucky to find any metadata for such pictures – for example, the artist’s name, an approximate location (usually on a city or district level), or the date on which the picture was taken, if at all. Furthermore, the selection of photographed works is highly biased due to the personal tastes of the photographers or the accessibility of the work. 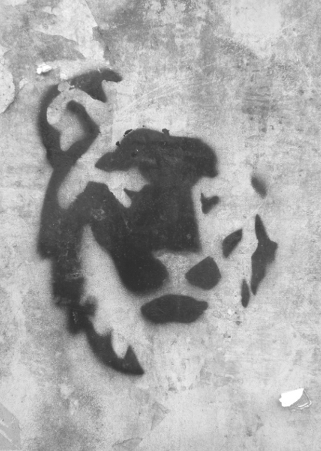 In order for street art documentation to be useful for research, providing further data is necessary, such as a more precise location, references to other instances of the same work, and the dimensions of the work. 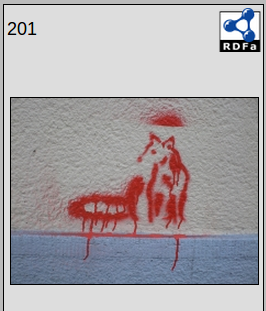 In this article, the current inadequate state of documentation in street art research is surveyed, and a model for the online documentation of stencil graffiti is presented that demonstrates the feasibility of some of these requirements.